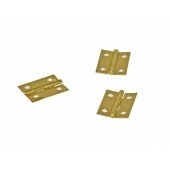 1'' x 3/4'' Brass Box HingeSold in lots of 50. As low as $5.50 per lot. 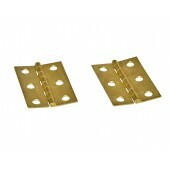 ..
1'' x 1'' Brass Box HingeSold in lots of 50. As low as $11.00 per lot. 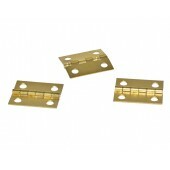 ..
1-1/2'' x 1-1/4'' Brass Box HingeSold in lots of 50. As low as $13.75 per lot. 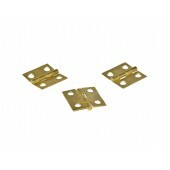 ..
2'' x 1-3/8'' Brass Box HingeSold in lots of 50. As low as $20.00 per lot. 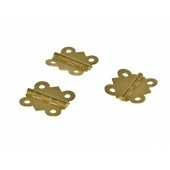 ..
1-1/4'' x 1-1/4'' Brass Butterfly HingeSold in lots of 50. As low as $13.00 per lot. 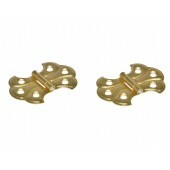 ..
2'' x 1-3/8'' Brass Butterfly HingeSold in lots of 50. As low as $20.00 per lot. ..
2'' x 1-3/8'' Decorative Brass Butterfly HingeSold in lots of 50. As low as $17.50 per lot.&nbs..